One of the things I like about Android over iOS is that it is fluid and things can change from device to device. But that doesn’t mean I want everything different. But I like my Google Apps…like Photos, Calendar, Keep, Gmail. And I don’t want to use other companies apps like Evernote or Gallery or Exchange. 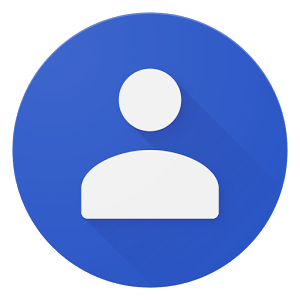 But until now Google Contacts has only been available on an actual Google phone (think Pixel or Nexus). This week that all changed. Google has released “Contacts” on the app store. Now, why do you need it? You don’t. But why should you get it? As always I highly recommend a cloud backup, such as Google and not your carrier, for all your stuff, and this will help push you through to safe backups and an easy transfer if you have to get a new device.